Pancake Day wants you to show off your talent in the 2017 Pancake Day Talent Show! We are looking for vocalists, dancers, instrumentalist, solos, groups secular or sacred! If you have talent…we want you!!! Sign-ups are being accepted now through 5pm Friday February 17th. There will be 5 Age Divisions from Tiny Tots ages 4-8; Junior ages 9-13; Senior ages 14-18 and Adult 19 and up! Cash prizes will be awarded for first, second and third in each division. Total cash prizes are guaranteed to be at least $2,710.00! This year’s totally revamped show will feature a two day show. The Live Audition Show will be held on Saturday February 25th at 12:00 pm with the Finals Show being Sunday February 26th at 3:00 pm. Advance Tickets for the Shows will be $7.00 each or you may purchase a Combo Ticket that covers both Shows for $10.00. Tickets purchased at the door will be $10.00 for each Show. 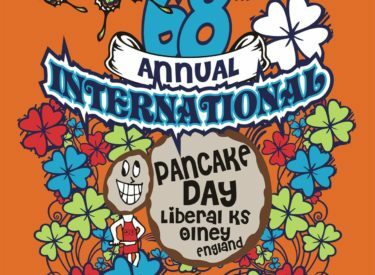 Tickets will be available at the Pancake Day Hall of Fame 318 N. Lincoln, at First National Bank 1700 N. Lincoln, or ticket package options on our web-site at pancakeday.net. For additional information, rules and entry forms, you may call JoAnn Combs at 624-6423 or go to our web-site at pancakeday.net.